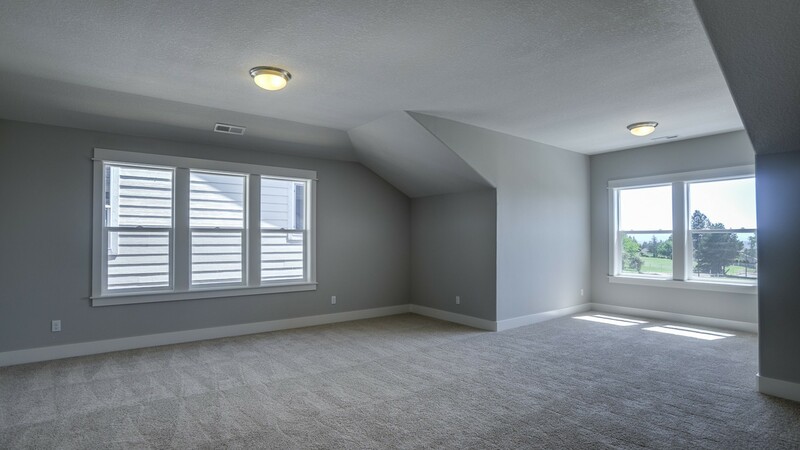 This home has ample personality, but it doesn’t hog up too much room – opening up potential lot options. 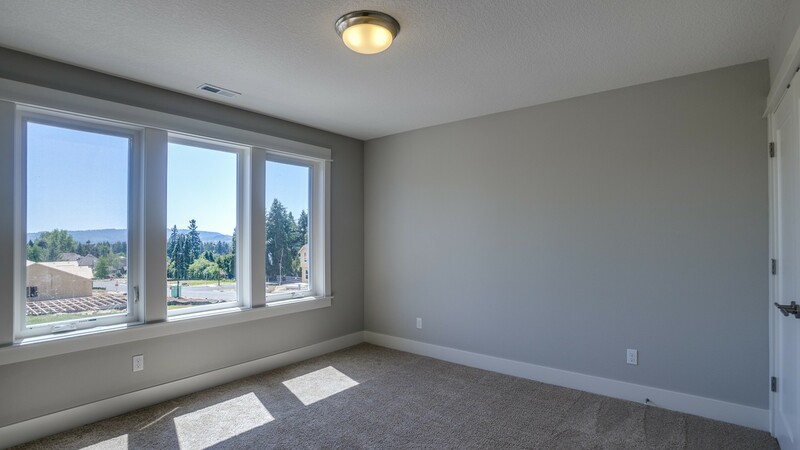 Let’s take an imaginary walk-through of the Hood River so you can see whether these may be the right home plans for your family. 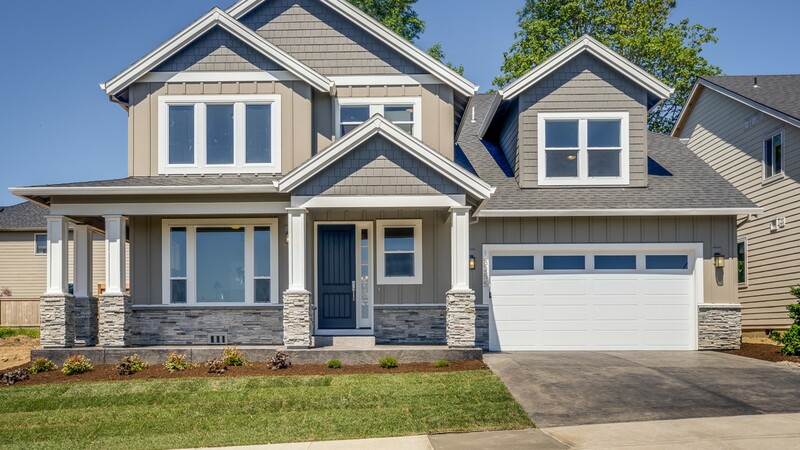 As we approach the façade of the Hood River, you’ll notice the Craftsman style details – from the five tapered square columns to the home’s exposed roof brackets. 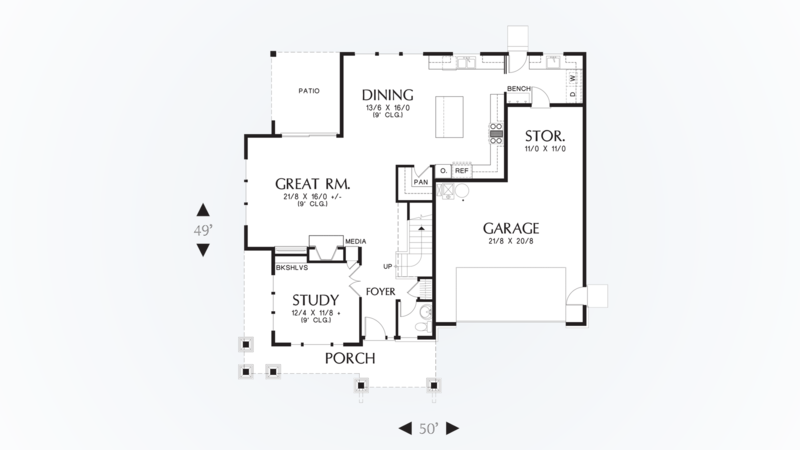 You’ll also see a generous dormer over the garage – what might the home plan’s designers have put up there? 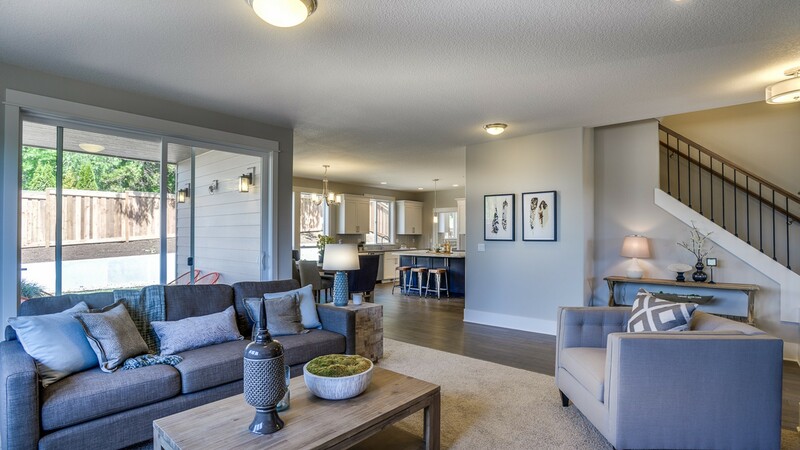 As you step under the covered entry, you’ll appreciate the wraparound patio, where you can imagine watching rainstorms as a family. 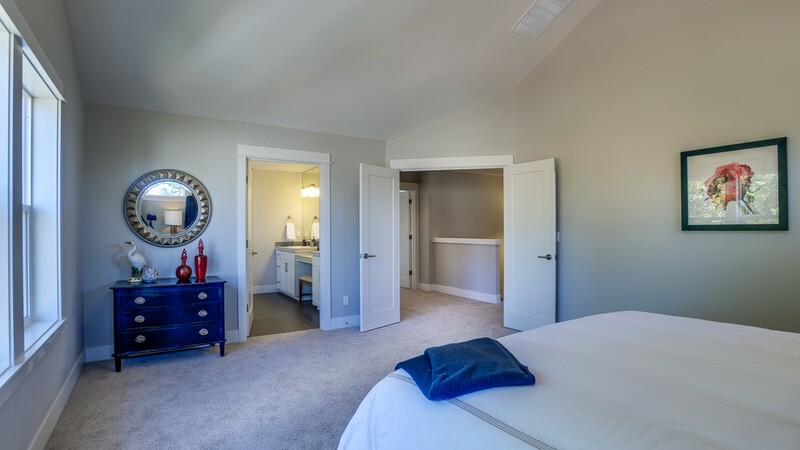 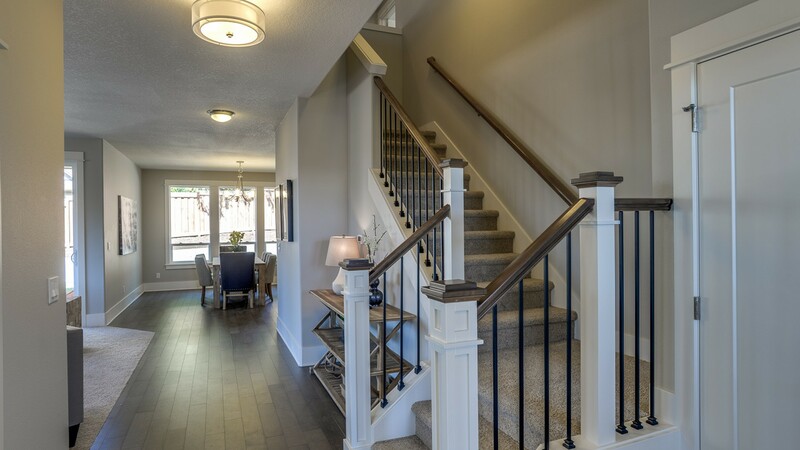 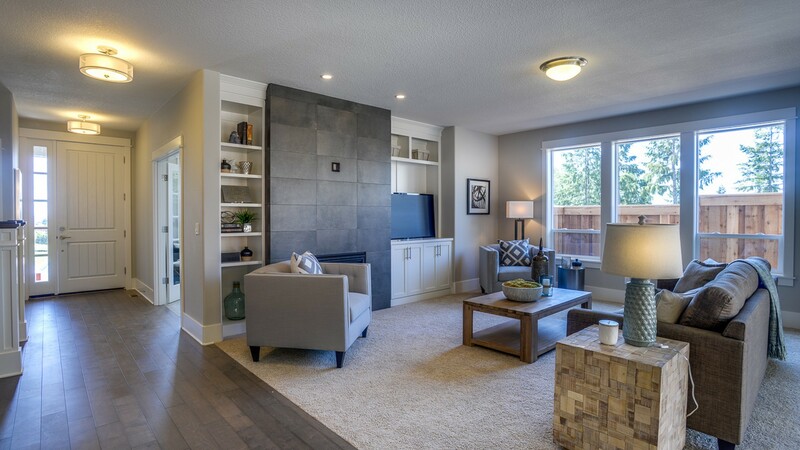 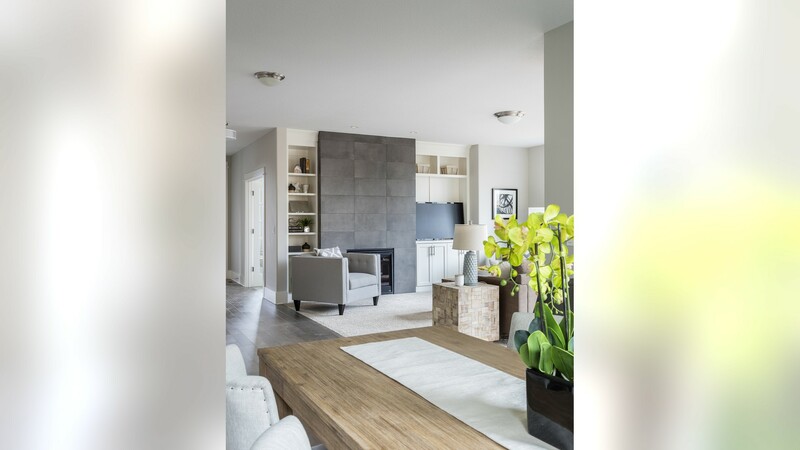 As we step into the foyer of the Hood River home plans, there is a half-bath on the right, along with a coat closet and the staircase to the upper floor. 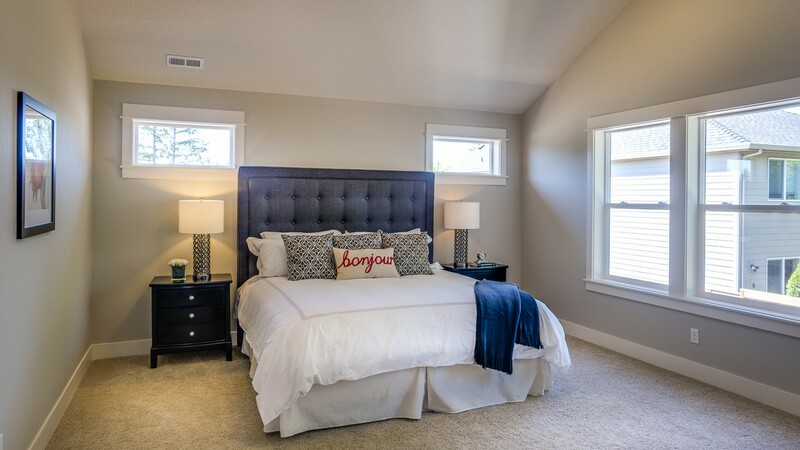 To the left, a set of double doors beckons you into the study, with its built-in storage and 9-foot ceilings. 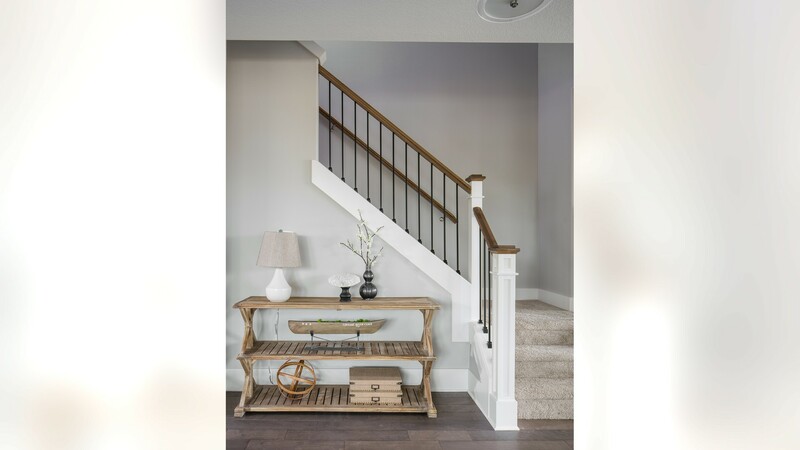 Continuing past the staircase (we’ll explore the second story of these home plans in a bit) you’ll find yourself in the great room, a sun-bathed space thanks to sliding doors on one side and three multi-paned windows onto the covered back patio on the other. 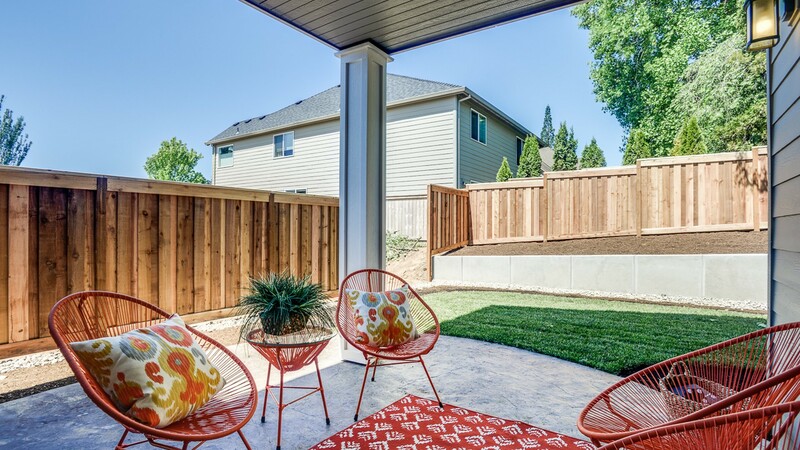 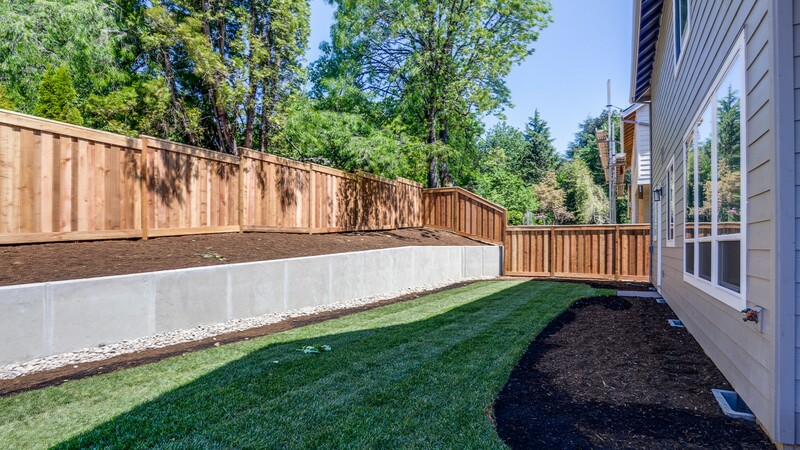 Delighted to spy a built-in grill on the back patio, you’ll continue to follow the Hood River’s open floor plan to the right, walking through the dining room and into the kitchen. 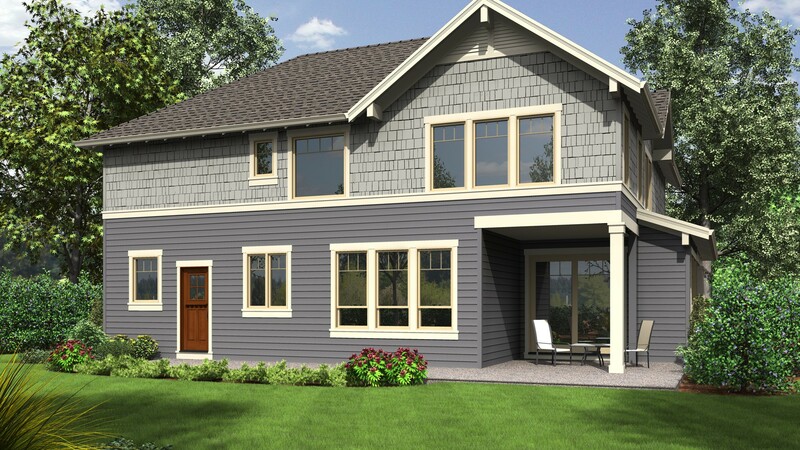 That’s one improvement the Hood River home plans offer over the traditional Craftsman home plan: Whereas original Craftsman homes often had boxed-off rooms, the Hood River boasts plenty of open shared space. 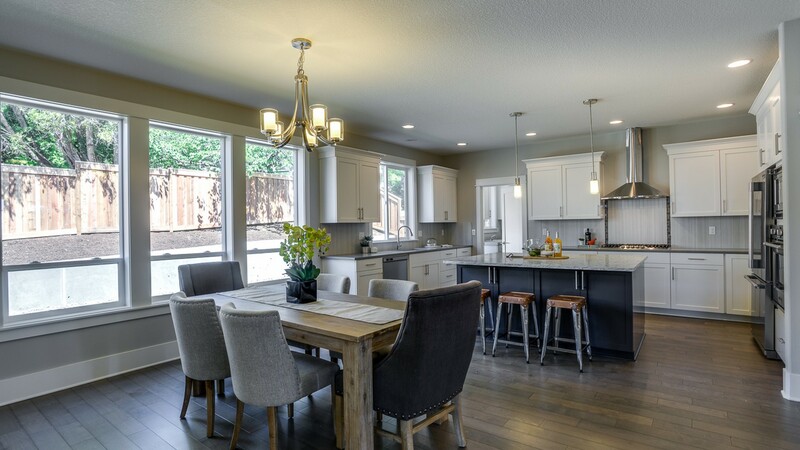 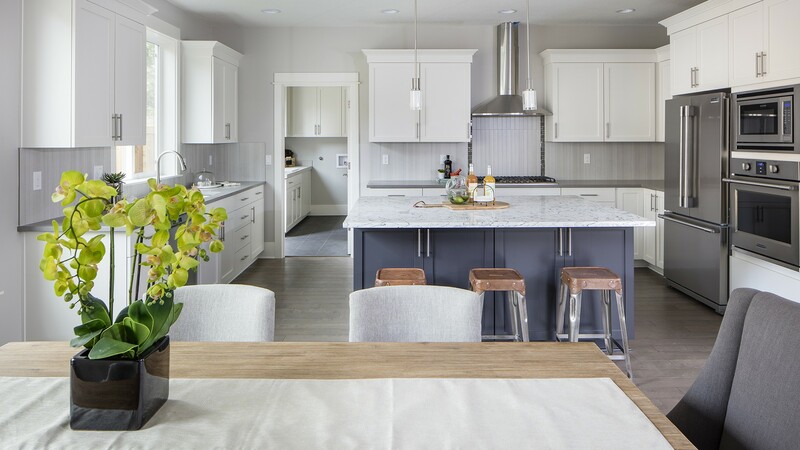 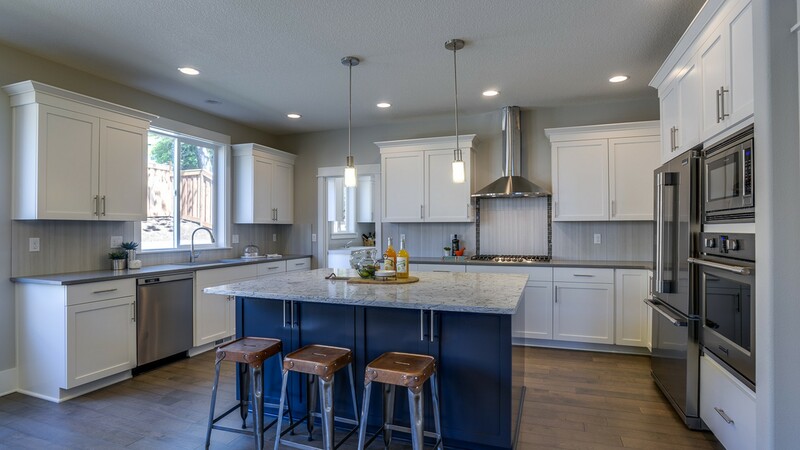 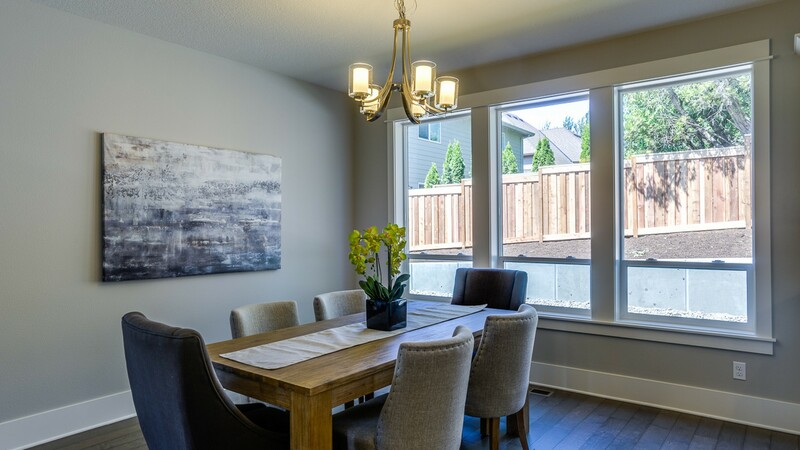 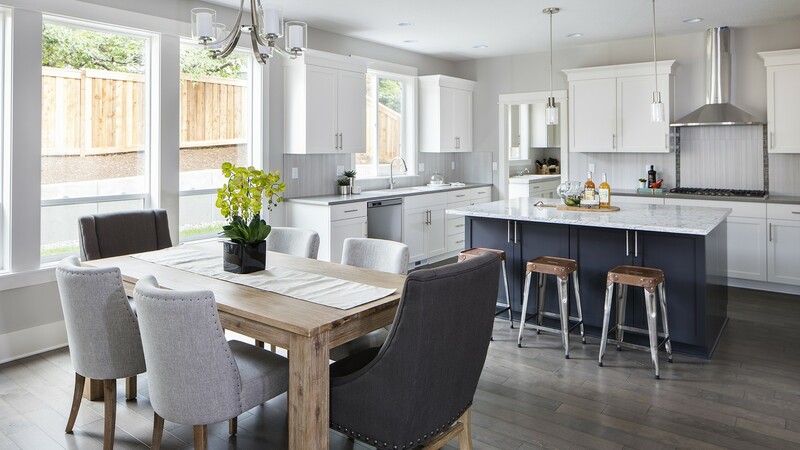 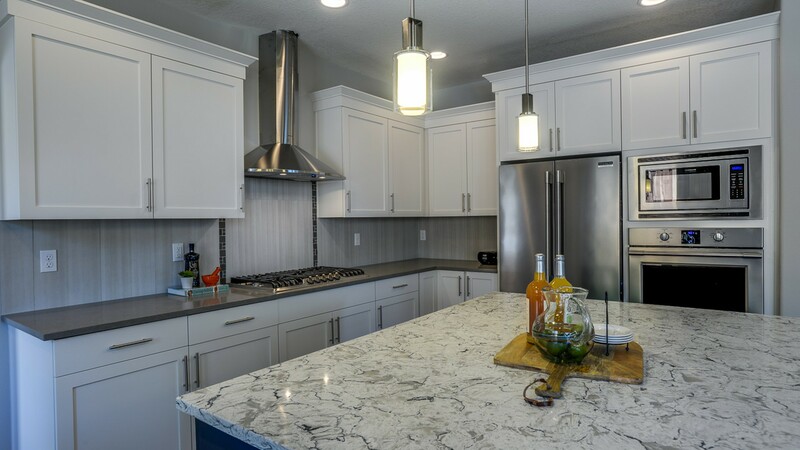 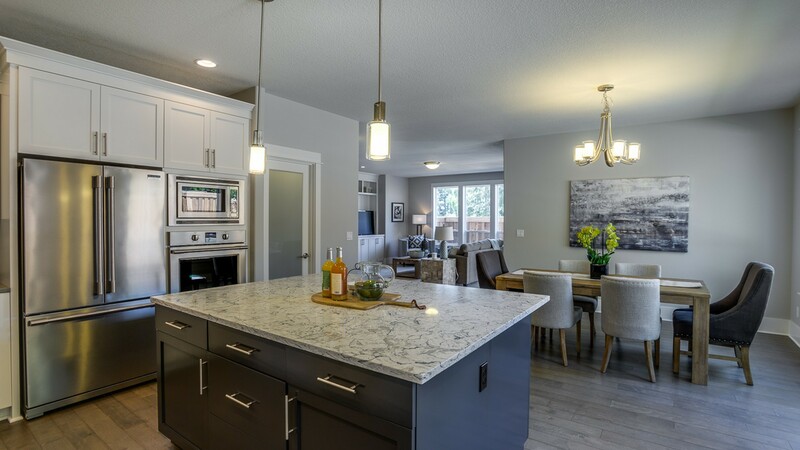 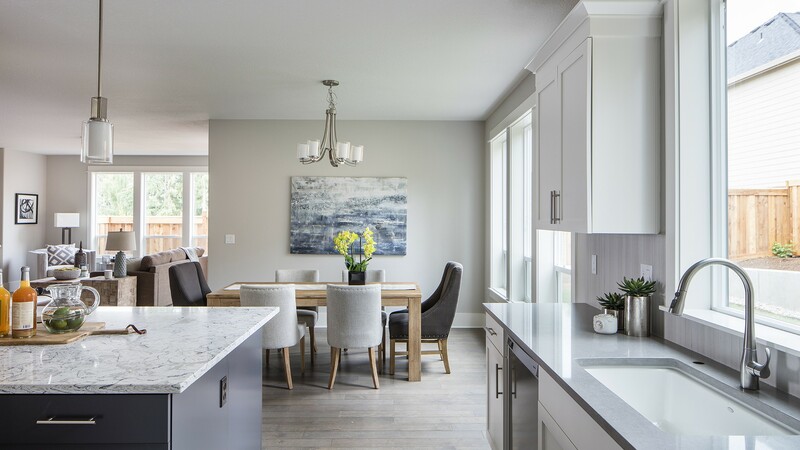 You’ll appreciate the kitchen island as a perfect place for informal meals, where you can imagine your kids gathering here for homework while Mom or Dad gets dinner ready. 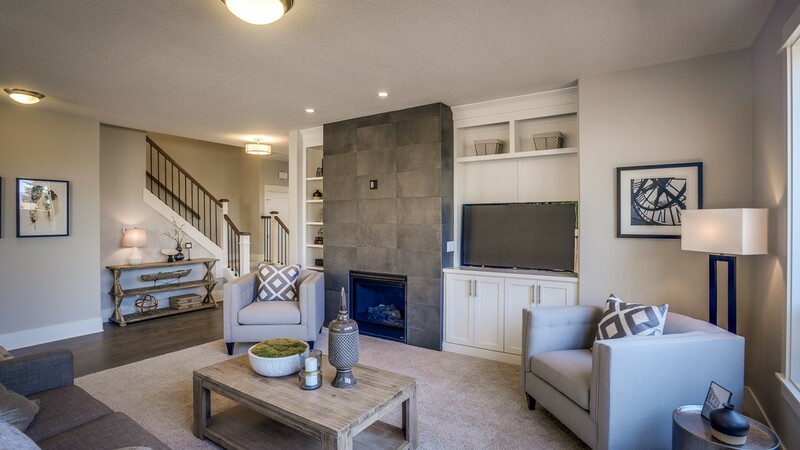 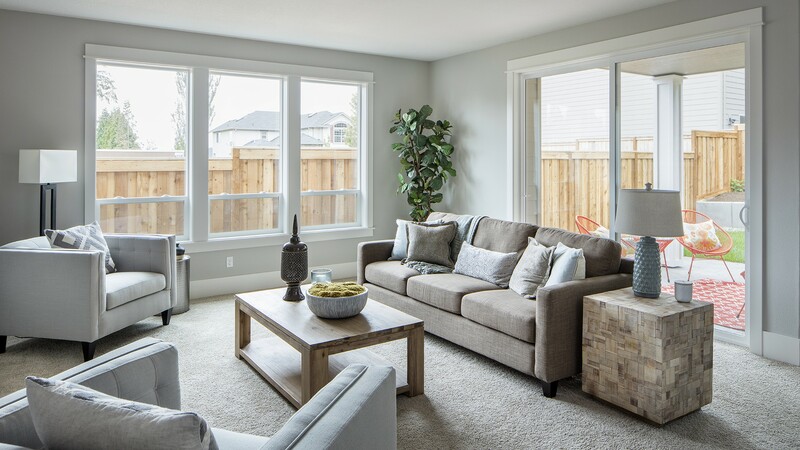 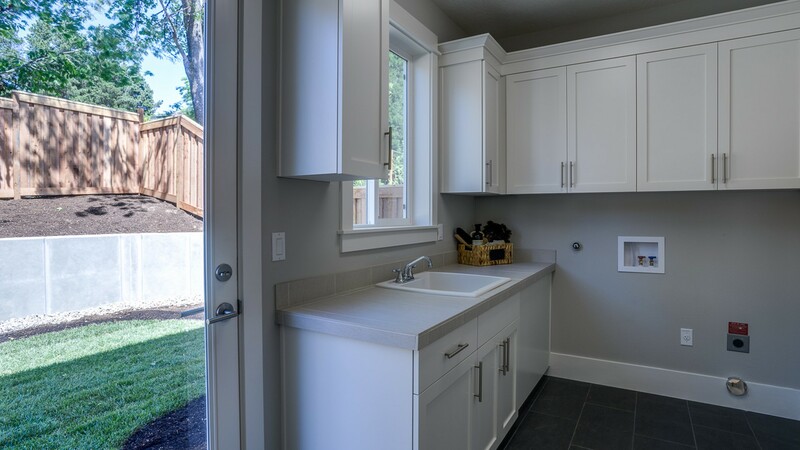 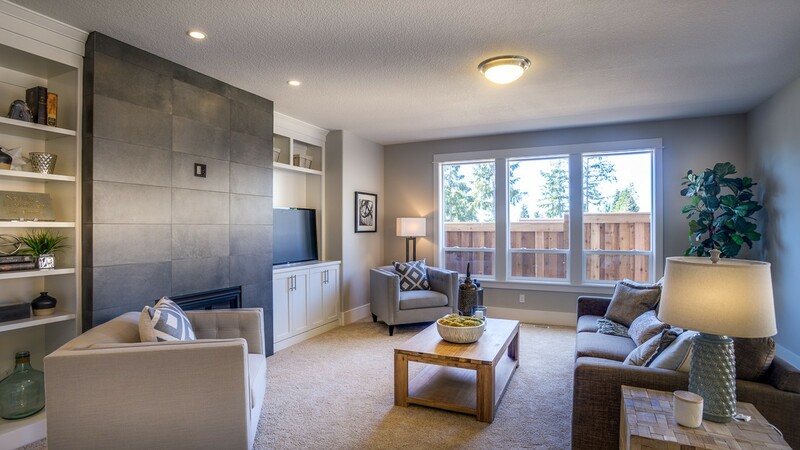 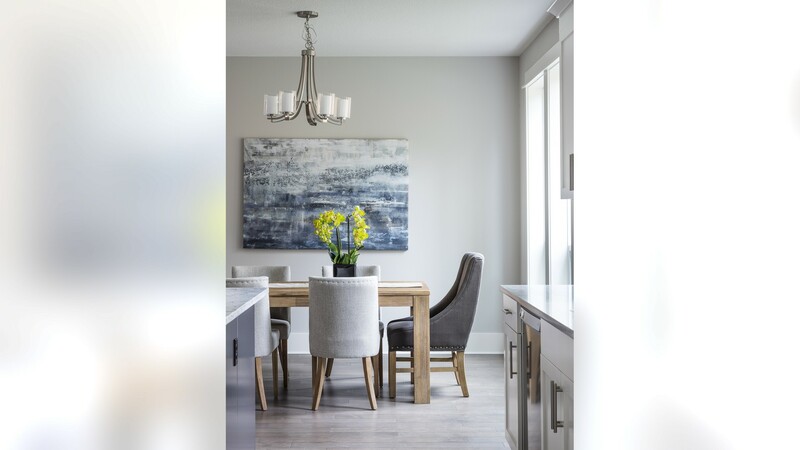 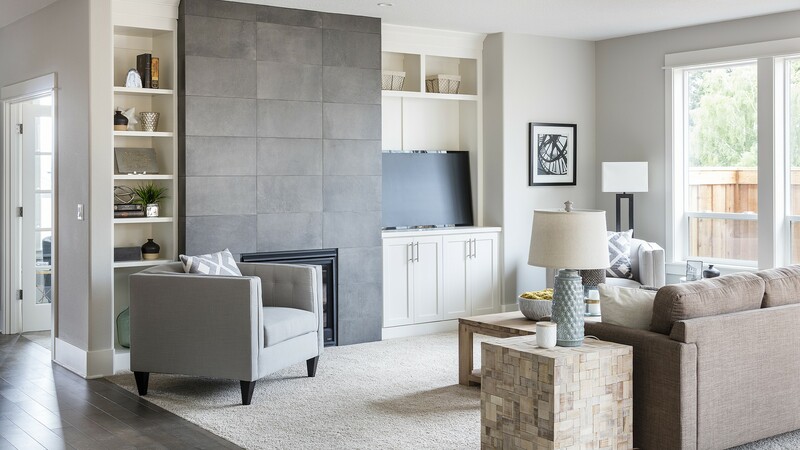 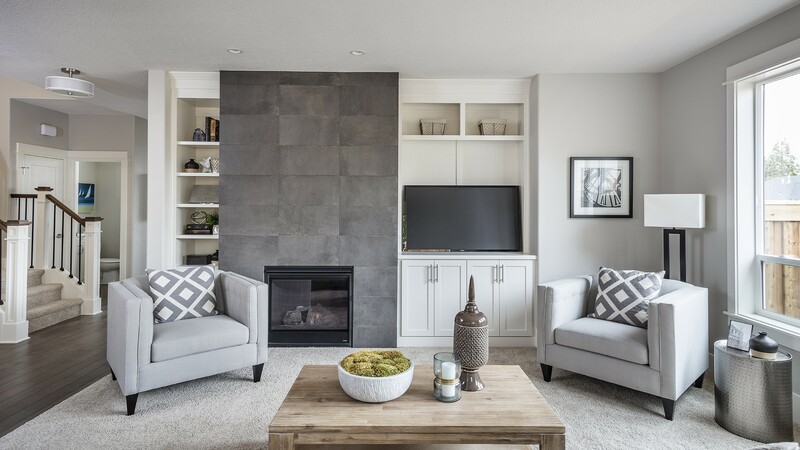 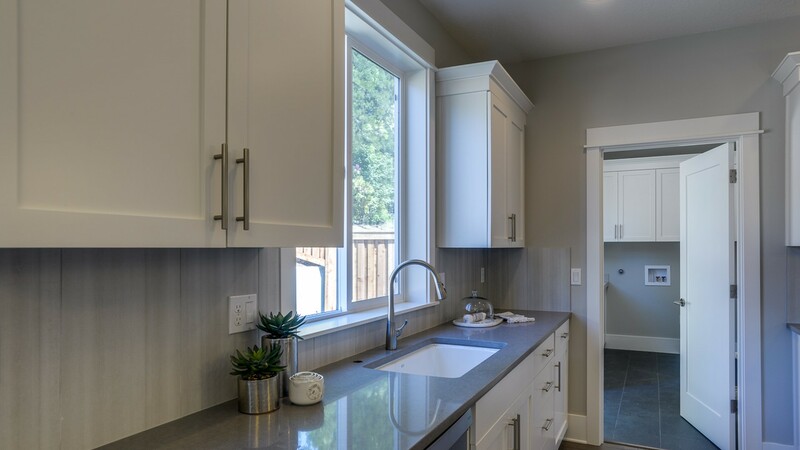 Walking through the kitchen, you’ll find yourself in a utility room with an exterior door as well as entry to the double-car garage, which has extra storage space in the back – plenty of room in here for your hobbies. 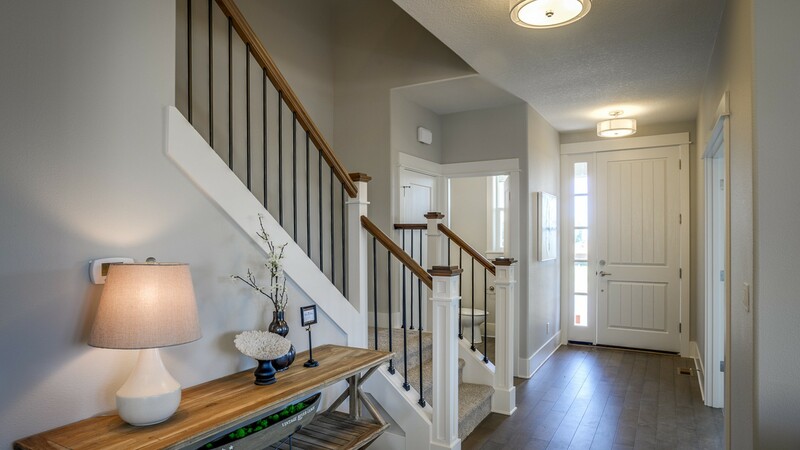 Next, we’ll head up the staircase, where you’ll notice four doors in a row on the left: a full bathroom, two smaller bedrooms and the double doors to the vaulted master suite. 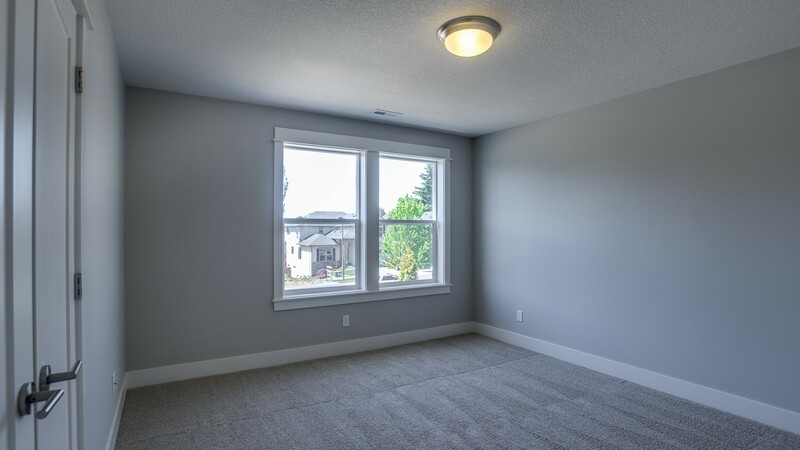 Natural light fills each of these rooms. 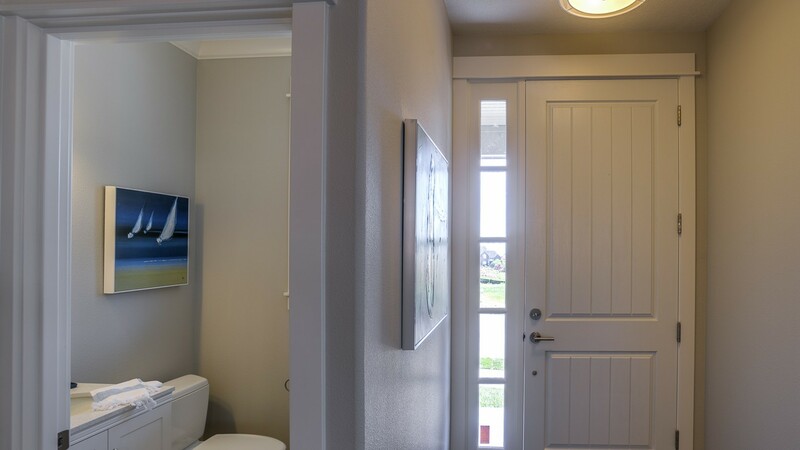 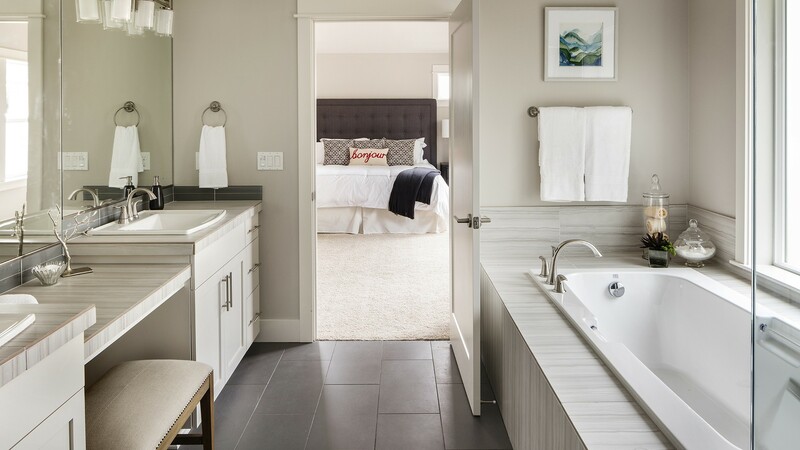 A specific design choice will jump out at you in the shared bathroom: A divider blocks the view of the toilet and tub from the double sinks, lending privacy to whoever shares this bathroom. 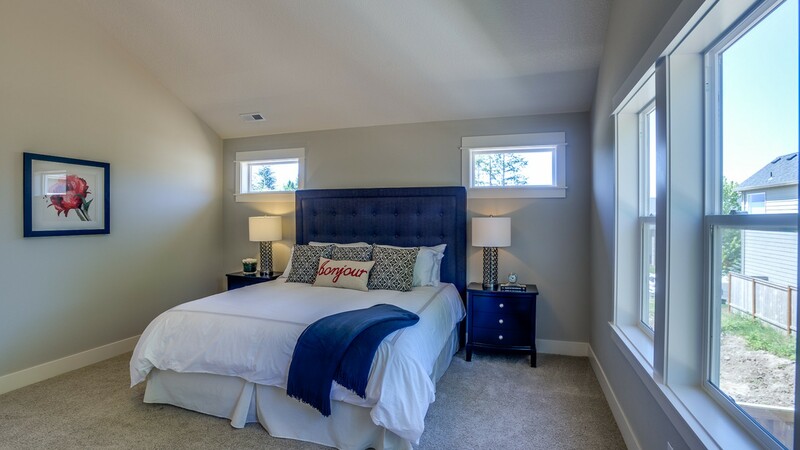 The master suite occupies the entire back wall of the home. 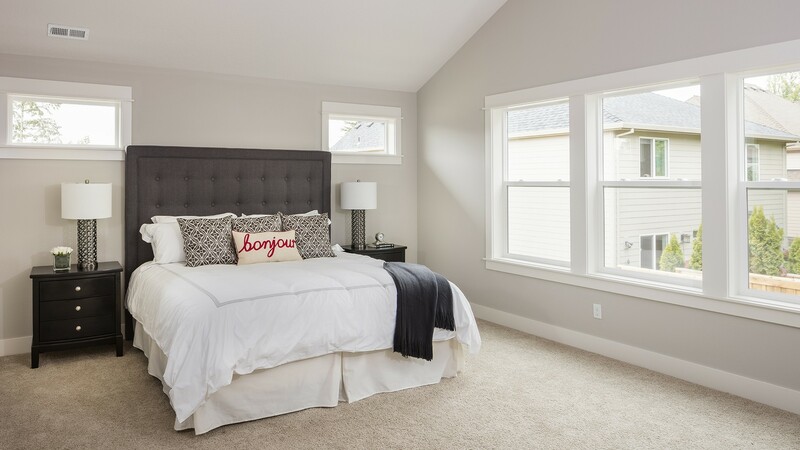 The master bedroom of these home plans leads into the bathroom, and then into a large walk-in closet with space set aside for a washer and dryer – how convenient! 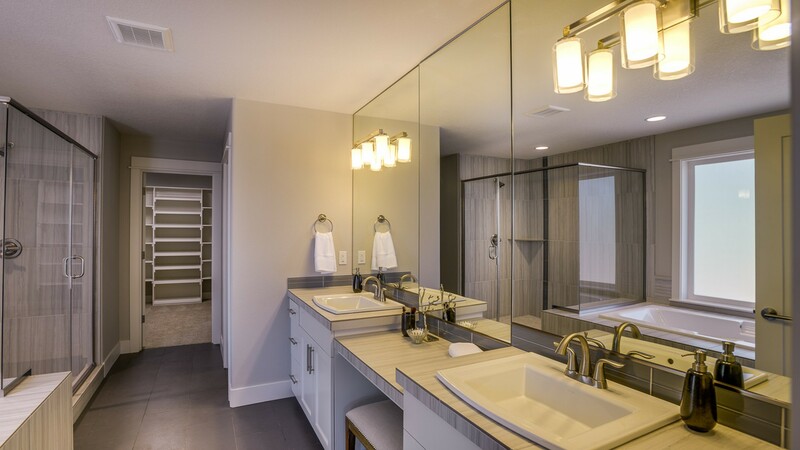 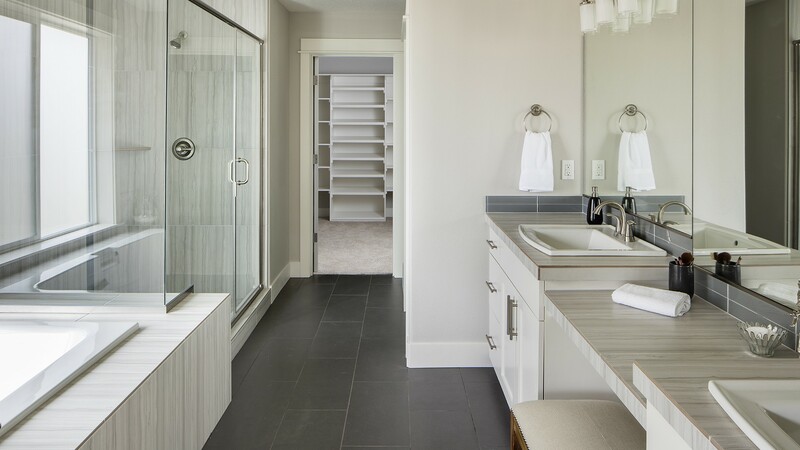 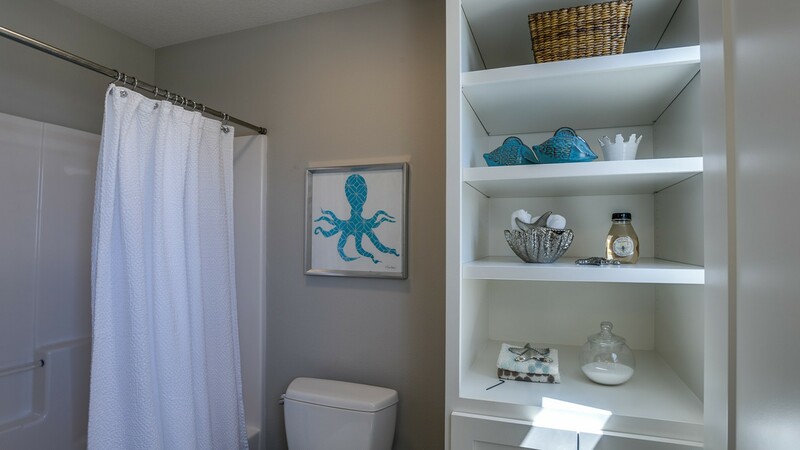 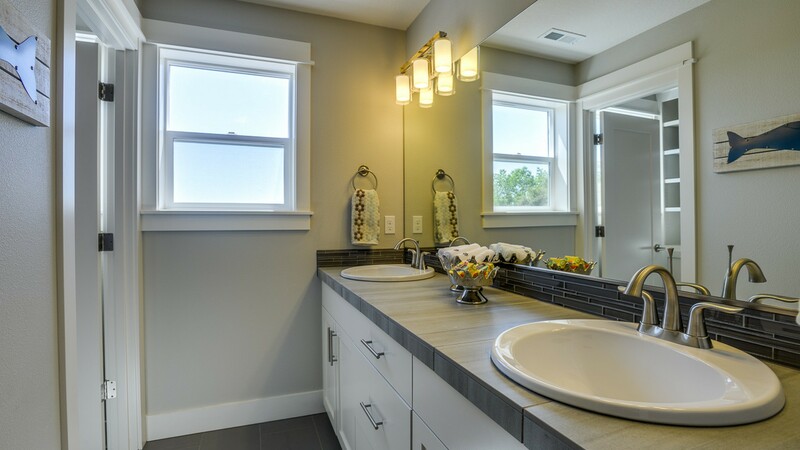 Satisfied with the size of the master closet, you’ll walk back into the master bath and admire the double sinks, built-in spa tub and separate walk-in shower. 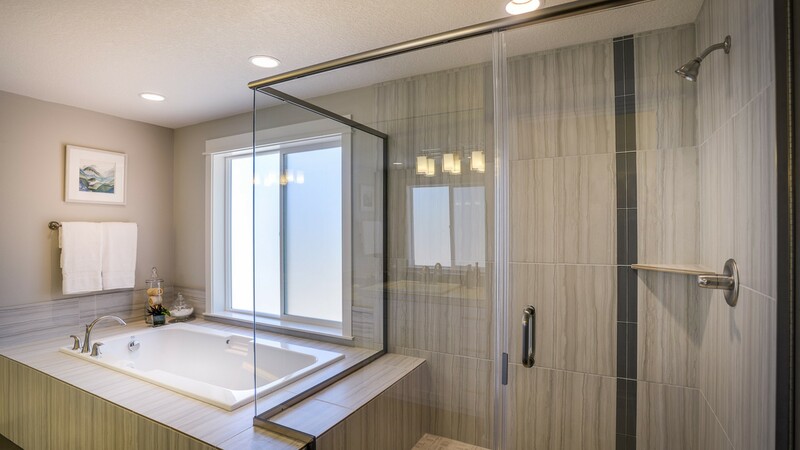 What a perfect place to unwind! 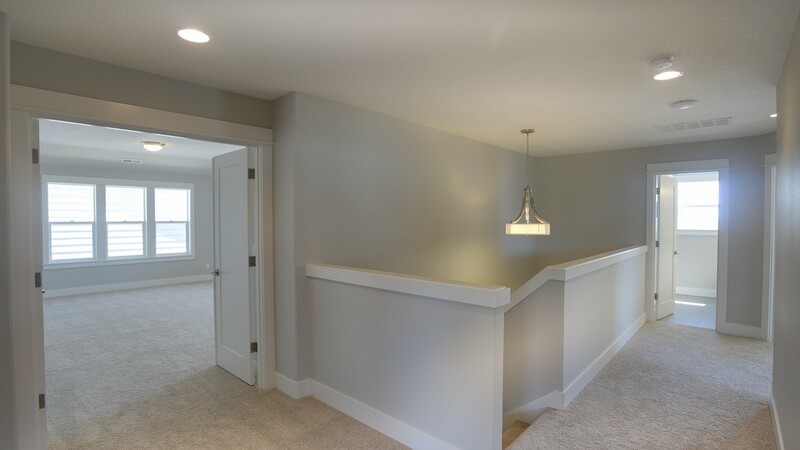 Walking back into the upstairs hallway, you’ll finally have the answer to quench your curiosity about what we would find above the garage. 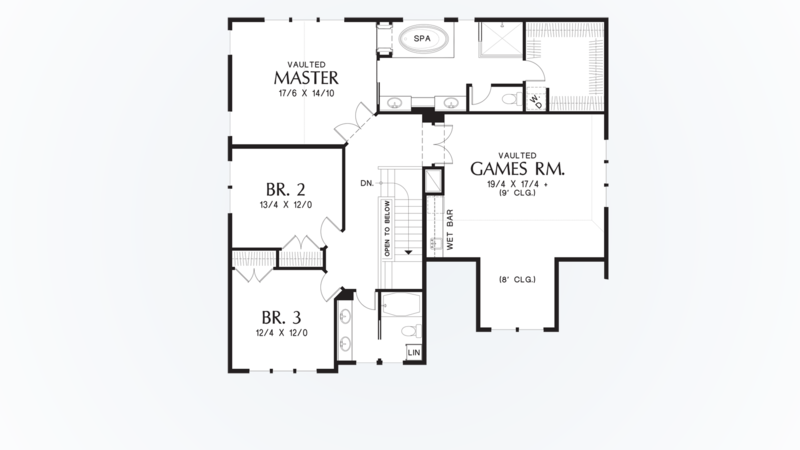 It’s a generous game room, complete with a built-in wet bar. 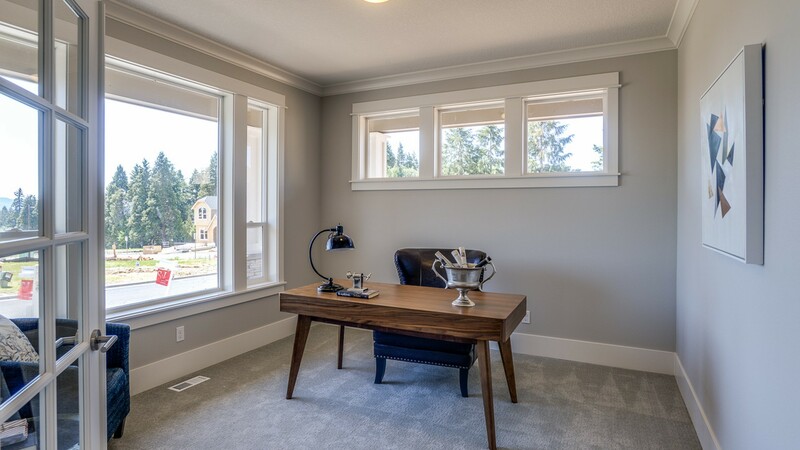 Should this be your office, or the children’s play room? 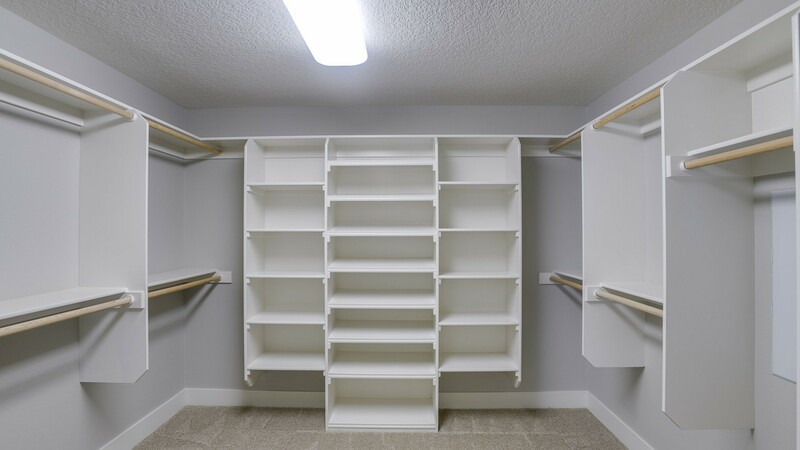 However you use this extra space, it will be sure to come in handy. 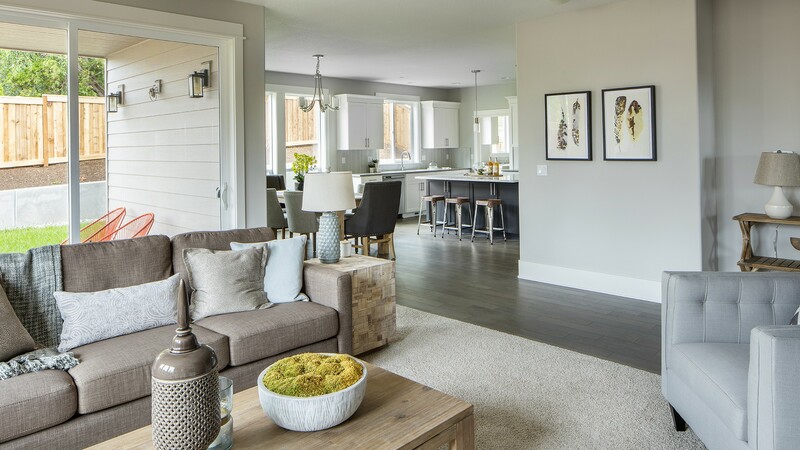 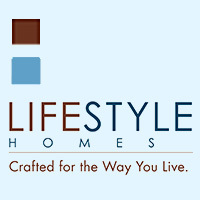 All in all, you’ll be able to envision your family living quite happily in a home built from these Craftsman home plans. 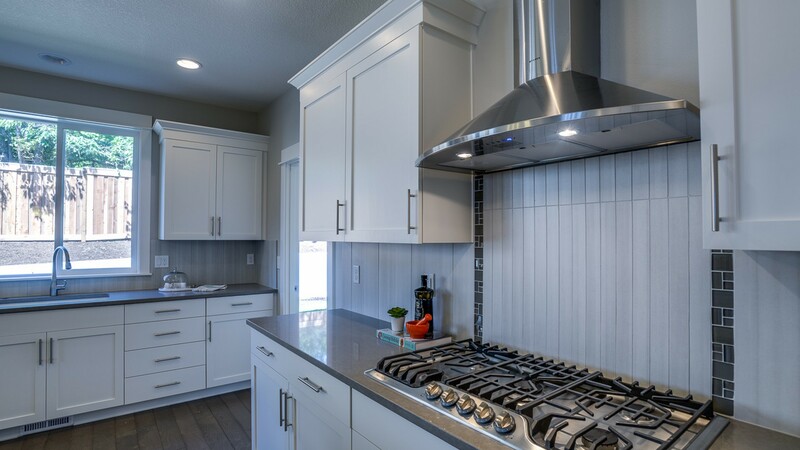 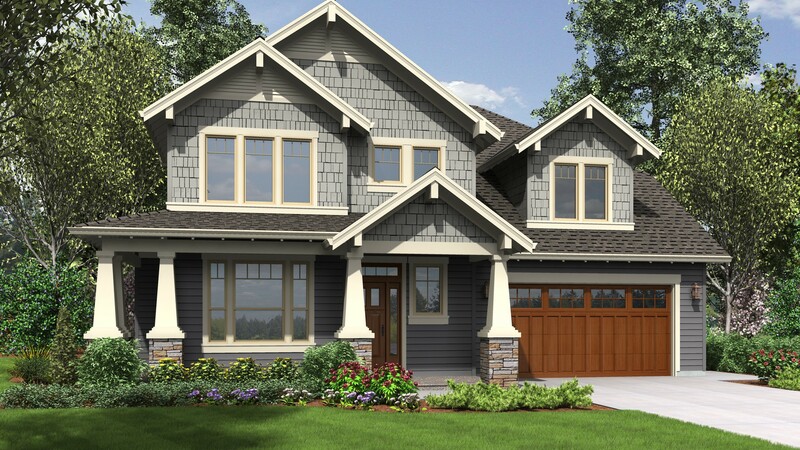 If you love mixed materials, clean lines and efficient use of space, the Hood River home plans could be perfect for you.